(Hotel) Gelato, Wine, Mac and Cheese Oh My! 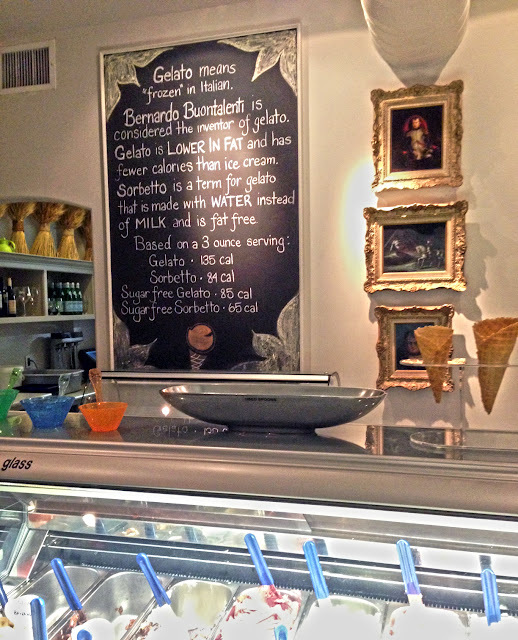 I remember trying gelato for the first time at a close Italian friends home during a hot summer day way back when. Being the dessert (and especially ice cream) enthusiast that I am I was all over it although a tad leery after finding out that it was lower fat than ice cream. Who cares about lower fat when it comes to ice cream! I thought. These are one of life’s indulgences where calories should not matter at all. that is when my love affair with gelato began. Tucked away in the lovely neighborhood of Eglinton Avenue West and Chaplin, sits a charming gem of a café called Hotel Gelato. The name basically says it all. Upon entering, it looks like a luxury boutique hotel with it’s aristocratic and contemporary interior decor yet still possesses a lot of demure and a classic gelateria character. 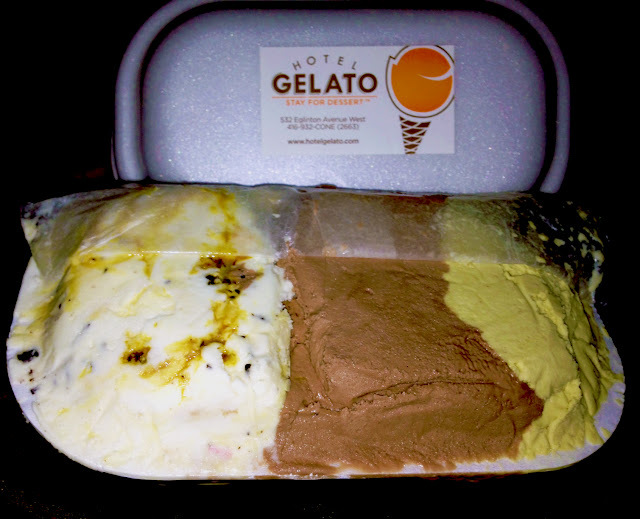 Hotel Gelato is the creation of Dan Hoffman and Christopher Borowski. As veterans of the luxury hotel industry, they bring their experience and passion for exceptional guest service to their unique, beautiful establishment. I already knew I was going to enjoy my experience here from the initial phone conversation to make reservations. First impressions are so important to me and how you are treated, even on the phone is a big reflection of your business. The gentleman was so polite, accommodating and friendly. Of course, reservations are not really needed because it’s still a very casual vibe and many usually just walk in and out for their gelato. However, if you plan to eat in for their new dinner menu, a reservation may be required because the place definitely gets packed on a Friday night! The best seats in the house are definitely right by the window beside the beautiful fireplace where we were seated. 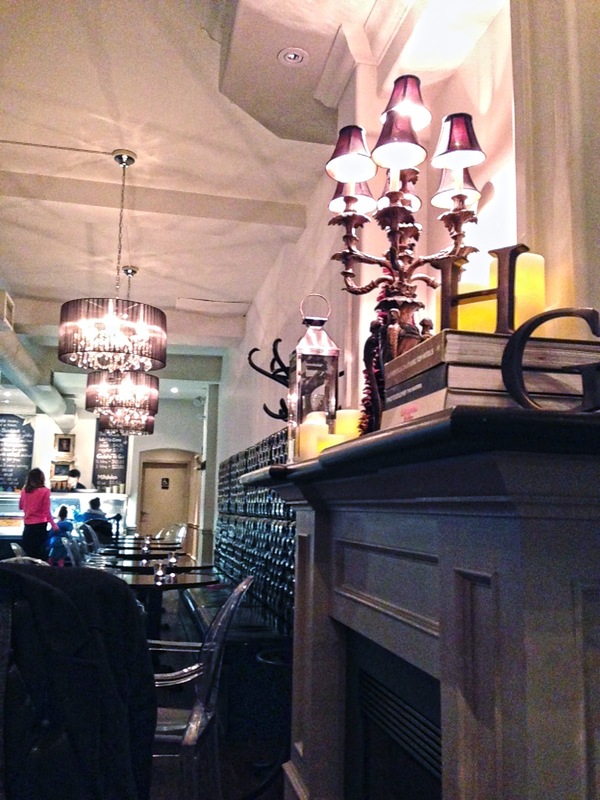 It’s a smaller establishment but that does not take away from how cozy and lovely it is. 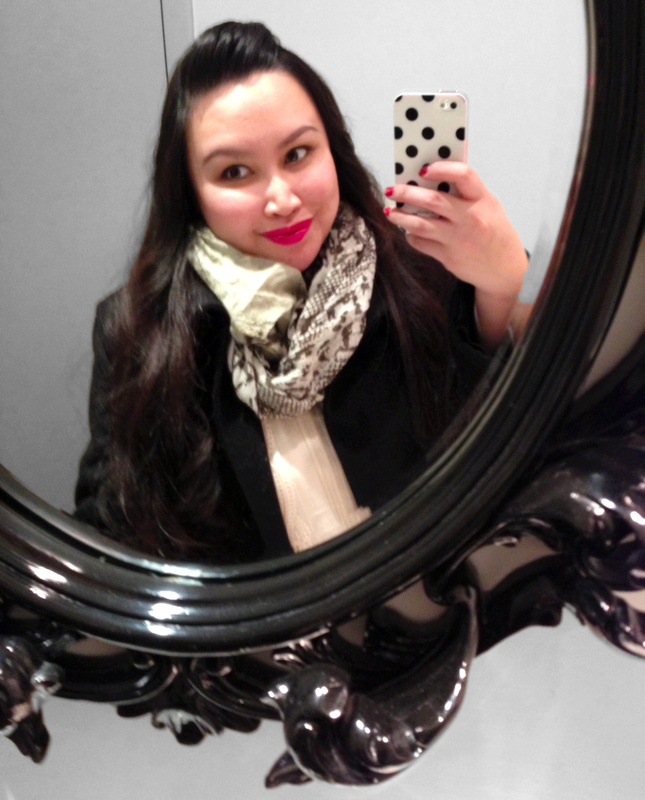 Loving this mirror in the ladies room! I admit, initially I was a wee bit skeptical about the new dinner menu seeing that this was mainly a gelataria/café; boy was I pleasantly surprised. The first item we ordered was of course drinks. They’ve got a fabulous wine menu. My husband got a glass of sauvignon blanc ($13/6oz) and I opted for a cocktail so I tried out their raspberry popsicle cocktail ($8). It was refreshingly delicious with fresh raspberries in it too! Their dinner menu consists of what they call ‘Plates for Sharing’ items as they are usually enough to feed two (potentially 3 at the most but 2 is already cutting it as the servings are not that big). 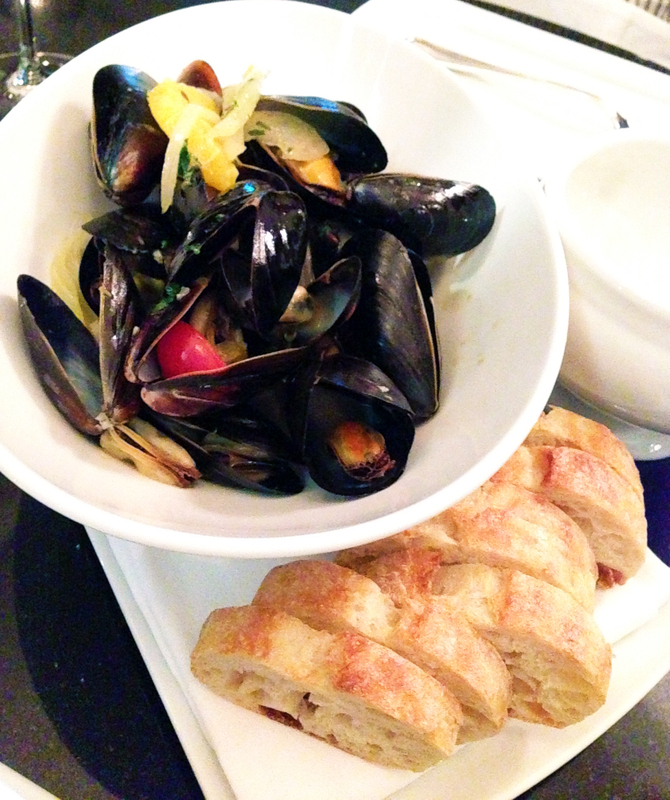 We started with the Orange Cumin Steamed PEI Mussels with a side of crunchy ciabatta slices ($10). The marriage of cumin with orange and mussel broth was so delectable! Dip with your ciabatta bread and oh my gosh! I loved this as I am a big lover of mussels and the new flavours in this dish was a big hit for me. The next dish we tried was their Hotel Gelato Mac & Cheese ($11). I do love cheese but this is where my husband had the biggest say as he loves a good mac and cheese. “This is the best mac and cheese I’ve had so far.” From the mouth of my dear mac & cheese aficionado himself. Considering the small portion, it was very gratifying. 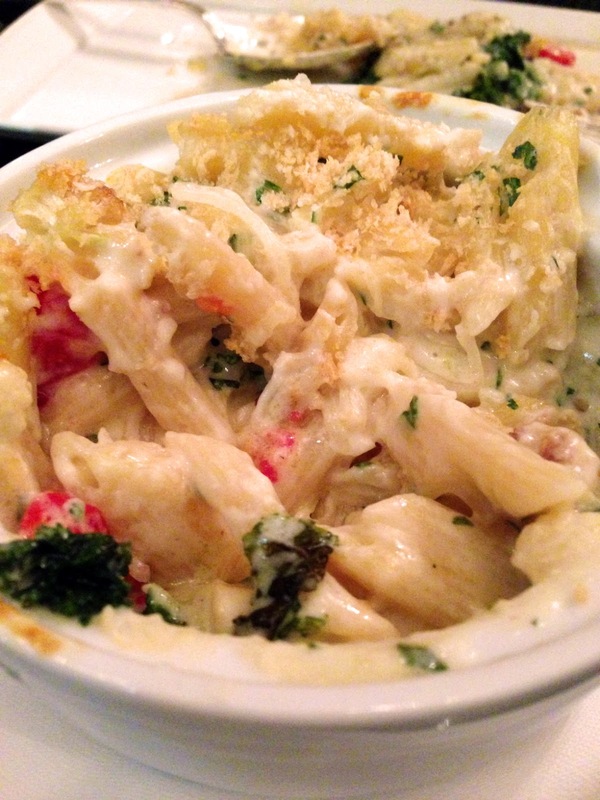 The Hotel Gelato Mac and Cheese consists of spaghetti squash, cauliflower, kale, cherry tomatoes and aged cheddar. We highly recommend trying this! We didn’t get enough of our mac & cheese fix, so we decided to try something new with the Jerk Chicken Mac and Cheese ($12). This dish was a combination of lightly-seasoned jerk chicken, spinach, roasted sweet potato and asiago. With a nice sweetness from the roasted sweet potatoes with just a little punch from the jerk chicken, this was a subtle thrill to our senses. It wasn’t what I expected — it was even better! 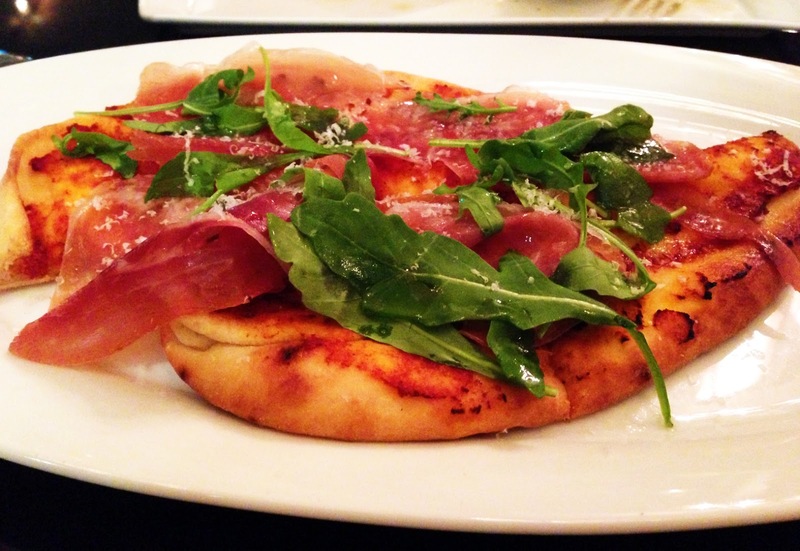 Onto the next one; I had my eyes set on the Warm Prosciutto Flatbread ($12) the moment I saw it. I love prosciutto! Paired with plum tomato sauce, baby arugula, grana padano and truffle oil, this was a winner for us as well! There was nothing that we had that we did not like or even find to be just okay — they were all delicious! Had we not been so full after this, we would have kept on going. I’ve got the Braised Beef Short Ribs, Maple Glazed Salmon and Warm Duck Confit Flatbread on my next Dinner must-try’s at Hotel Gelato. Also look forward to their salads and panini’s for a nice lunch! Oh and before I go on about the gelato, I have to mention that they also carry other desserts as well which I will try on my next visit. Desserts like Warm Bread Pudding, Chewy Nut Bars, Cupcakes and Mixed Berry Crumble Tarts. Mmm! 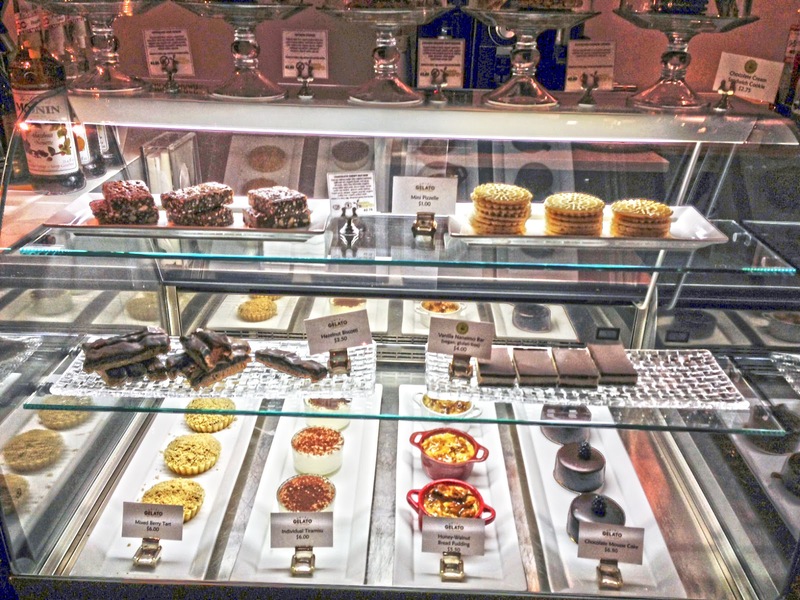 And the great thing too is that they offer gluten free, vegan and organic treats. Okay back to the gelato! They’ve got a scrumptious selection of flavours including:Wild Strawberry Cheesecake, Pistachio, Dark Chocolate, Chocolate Hazelnut (with real pieces of Ferrero Rocher), Coconut, Avocado, Classic Vanilla, Vanilla Sponge Toffee and more! They also offer Sorbet which is made of water instead of milk and fat-free (usually the fruitier variety and taste like a refreshing frozen juice!). They also always offer sugar-free and lactose-free options. Remember when I mentioned how on earth anything could taste just as good as ice cream but healthier? This is the case with Gelato. Why? Because gelato is made with milk instead of cream, it is much lower in calories and fat than ice cream. We decided to take a litre of Gelato home so we can share with our little girl as well and to savour throughout the week (this only lasted a couple of days…). We chose pistachio (my ultimate fave), vanilla sponge toffee and chocolate hazelnut. They were all amazingly good! 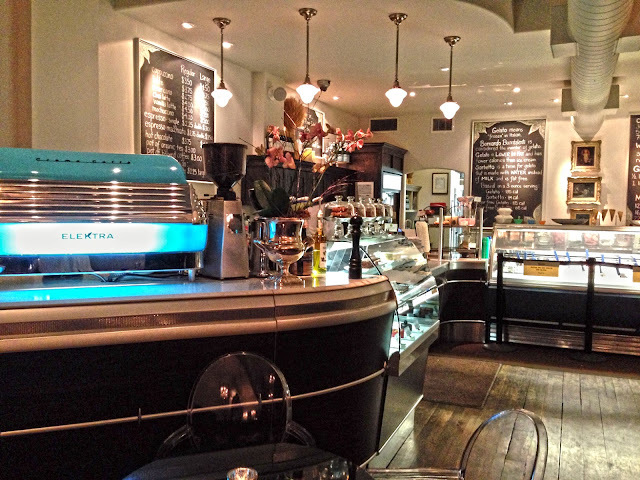 Next time you’re in the area (or even if you’re not in the area), I am recommending you stop off at Hotel Gelato for either some of their delicious gelato or for a glass of wine paired with some of their delicious food. 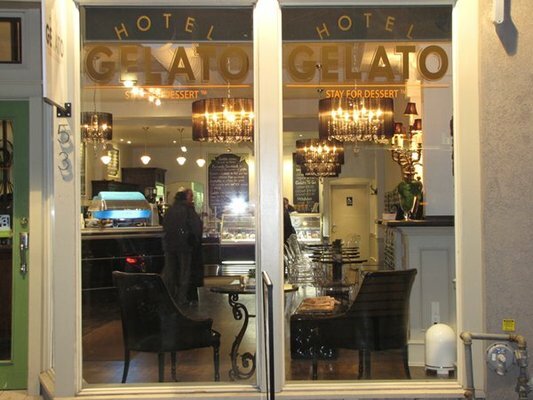 For more information on Hotel Gelato, you can visit them here at: http://www.hotelgelato.com. I love pistachio ice cream. Looks like I need to stop in here sometime and indulge in some pistachio gelato! 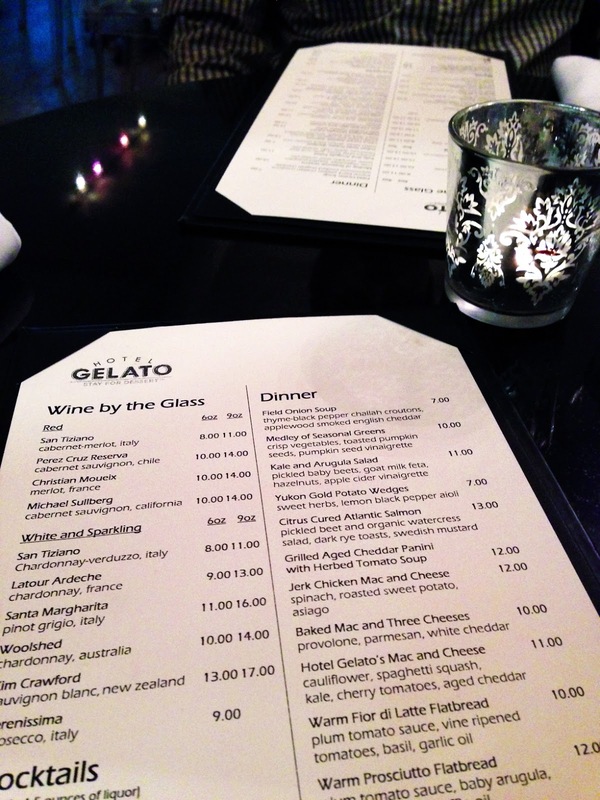 Gelato and wine – yeah boy! That mac and cheese looks so tasty. I really like their storefront. This must have been an amazing experience! That Mac and cheese looks delicious, and of course, so does the gelato. 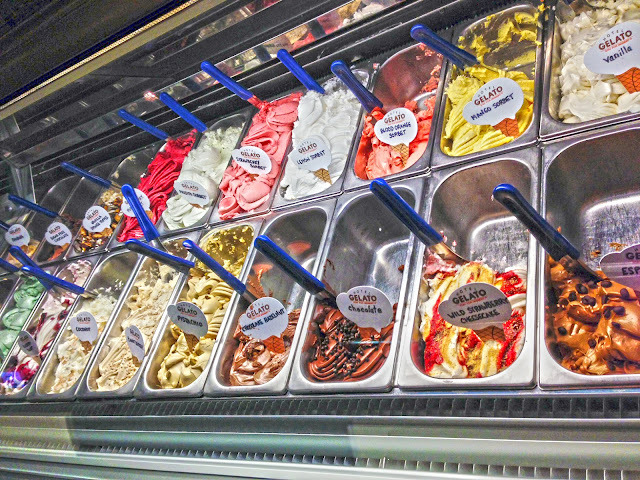 I’m a huge gelato lover, so these photos make my mouth water! 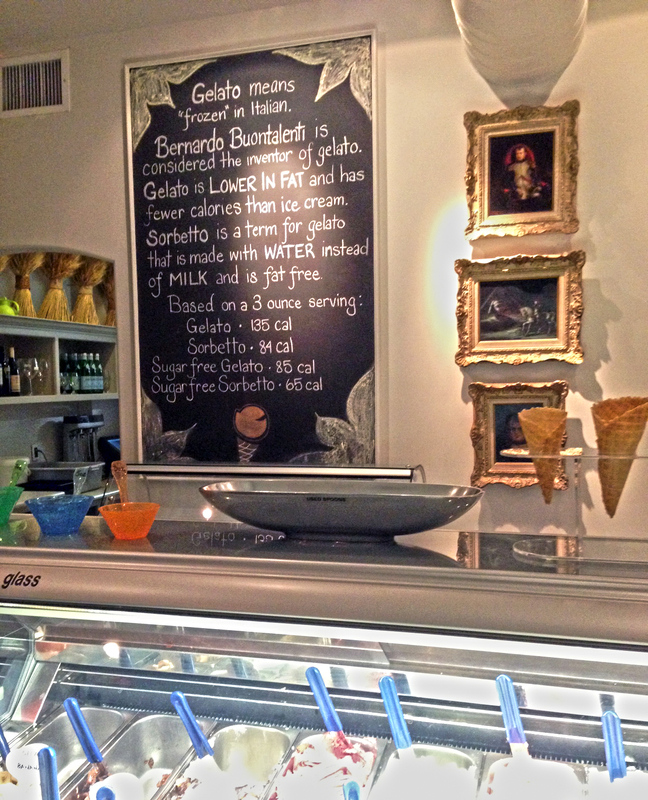 I love gelato and this place looks amazing! I def need to try it soon! Very nice, That pasta dish looks awesome! 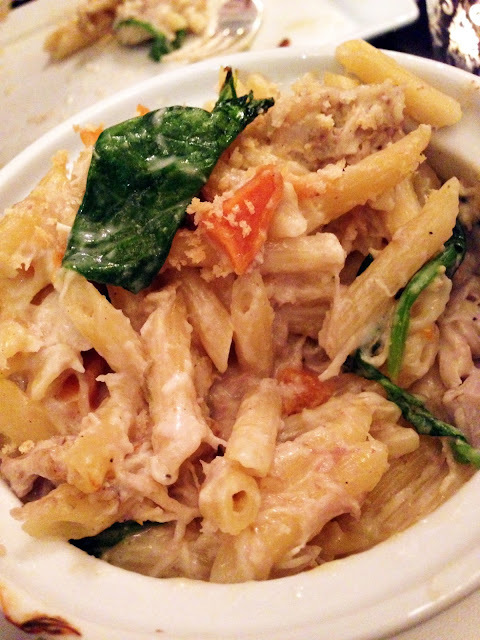 Fussy eaters almost can’t go wrong with pasta. I’ve never had gelato before but hopefully soon. I’ve been really wanting to try it in the pistachio flavor. Looks like a nice place. Place looks amazing! I live down the street so I’m definitely checking this place out. You’ve got me craving that mac and cheese!